Marketing is all about reaching your consumers, and, chances are, your potential customers spend large portions of their days immersed in their mobile devices. Whether they can't get out of bed before swiping through their smartphones or need their tablets to accompany them on commutes, portable technology is likely a huge part of their lives. Because of this, mobile marketing is essential for organizations looking to effectively gain exposure. "Mobile marketing is a continuation of Internet marketing." Mobile marketing is a fairly new term, having been developed as a result of smartphone and tablet use becoming increasingly ubiquitous in both personal and professional settings. According to Business News Daily, mobile marketing is essentially a continuation of Internet marketing, only more targeted and intimate. Because most users authorize their devices to remain aware of their location and personal information, businesses are able to target potential consumers more effectively with mobile marketing strategies. Mobile websites: Versions of your company's website designed to be visually appealing and easy-to-use on small mobile screens. Text messages: Personalized texts your organization sends to potential consumers advertising your product. Mobile email: Promotional emails to consumers' personal accounts, which they tend to link to their mobile devices. Mobile advertising: Ad space your business can purchase on mobile sites, that, like the sites themselves, have been formatted and designed for mobile browsers and applications. Applications: Users download "apps," or digital programs, to their smartphones which they can access instantly. Many companies are creating their own apps to gain additional mobile traffic and exposure. Mobile searches: Similar to standard Internet searches, monitoring mobile searches allow your company to get a better idea of who your potential consumers are. It's more targeted, however, because you can see the users' locations. Mobile social media: Social networks are largely accessed using mobile apps, so gearing your social media strategy toward portable tech users is an essential component of your mobile marketing strategy. In today's tech-savvy world, mobile marketing is an essential component of an effective advertising strategy. Because best marketing practices are constantly growing and evolving based on industry trends, it's important to continuously modernize your organization's strategies. Mobile devices are currently the most popular methods of communication - in fact, 1 in 5 people own a smartphone, a number that's increasing at a rapid rate, reported Doba. Most companies have already recognized that mobile technology presents golden opportunities for brand exposure, so if your business has yet to join the mobile marketing game, it's already falling behind industry standards. Doba explained that mobile technology has shifted the way people think - they want information to be clear, concise, easy-to-read and delivered instantly. While some companies try to cut corners by applying antiquated marketing techniques to mobile settings, they typically lack the speed, formatting and general sharpness to hold up to mobile users' increasingly sophisticated standards. This is why it's important to develop a uniquely mobile marketing plan that features fast-loading sites and succinct content. 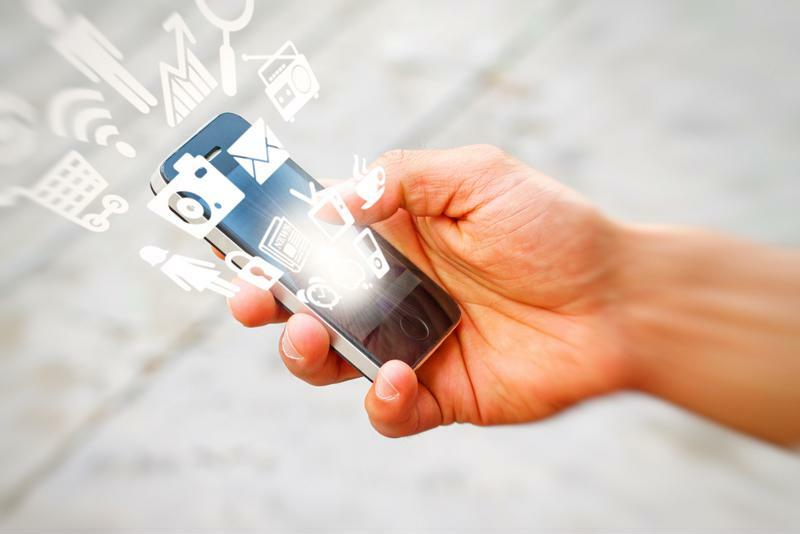 How can your company implement a successful mobile marketing campaign? Extending your marketing strategy to encompass mobile devices might seem overwhelming, but there are a few things your organization can do to make this advertising update simple and effective. According to a ProOpinion Survey, 35 percent of professionals believe getting to know your audience is the most important part of operating a successful mobile marketing campaign, while 27 percent pointed to mobile website as being the biggest priority. About 13 percent of respondents believed creating personalized content was the most crucial, 10 percent cited strong SEO performance as the key to mobile marketing success and 5 percent considered optimizing email to be the greatest fact of the mobile marketing game. In reality, all of these elements need to work together to create a cohesive, streamlined approach to reaching mobile consumers. YFS magazine explained that, while getting to know your audience might sound like marketing 101, it's a whole other animal from a mobile perspective. Because users pump so much information into their portable devices, you're able to craft detailed customer profiles, review your performance in specific regions and even discover your audience's primary purchasing motivations. Your company should take advantage of this information to develop personalized, targeted campaigns. One effective way to do this is by engaging consumers on social media sites, many of which are operated exclusively through mobile apps. If you have existing social campaigns for networks like Twitter, Instagram and Facebook, consider adjusting them to appeal mainly to people accessing the sites on phones or tablets. The source noted that the quality of your mobile site, as well as the caliber of its content, is also vital to the success of your mobile marketing strategy. While people are persistently using mobile technology, they're constantly jumping around to different apps and programs. If your site takes more than a few seconds to load, or the content needs to be read multiple times in order to be digested, consumers will abandon your site in favor of something faster and simpler. What works on a desktop computer will likely translate poorly to a smartphone screen. Text messages often seem like the base form of digital communication, but email is still a major messaging platform. YFS explained that this is especially true when it comes to mobile devices, where users are far more likely to open and act on emails. In fact, the source reported that email influenced 27 percent of e-commerce sales on mobile technology as opposed to just 20 percent on traditional computers. Because of this, it's important to revamp your email strategy to make sure your messages are appealing to users checking them on smartphones and tablets in addition to desktops and laptops.